LEGO toy brand has been entertaining children of all ages ever since their first set of bricks appeared in 1934. Being the most popular manufacturer of brick-sets, LEGO provides a variety of toy sets for children of all ages, gender and personal preferences. 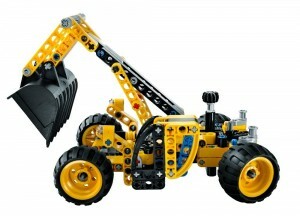 One of the coolest and most entertaining LEGO construction kits for boys is LEGO Technic. This construction kit is not ideal for small children, but for pre-teens, teenagers and all those who have a distinctive passion for technical engineering and construction. With thousands of tiny pieces to combine altogether, children aged 10-plus, can spend hours with the LEGO Technic constructing something special, some type of battery-operated machinery. Each set is unique and entirely different, but the satisfaction is guaranteed. Here are our favourite top 5 LEGO Technic vehicles. 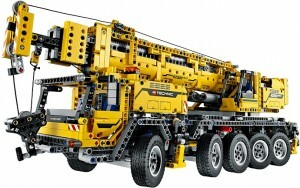 The mobile crane is the most complex and largest model of the LEGO Technic series. With 2,606 pieces and length of 33 cm, this 8-wheel beast is the coolest model to have in your collection. LEGO Technic mobile crane is able to extend its boom up to 77 cm in height, but its outriggers must be set for maintaining stability. This monster of a crane comes with a working winch for lifting heavy loads, thanks to its powerful V8 engine with moving pistons. Lastly, it can be rebuilt into 2 different units: a truck and a stacker. With 617 pieces and total length of 29 cm, the bulldozer of this series is made with realistic details, such as working blade, moving tracks, ripper and a detailed engine with moving pistons. 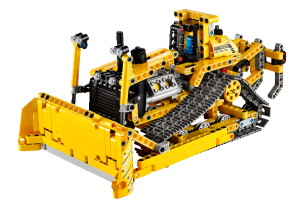 You can push heavy loads with the LEGO Technic bulldozer and when you’re done, you can rebuild it into a trench digger. LEGO has definitely designed the best supercar that can be found on the toy market. 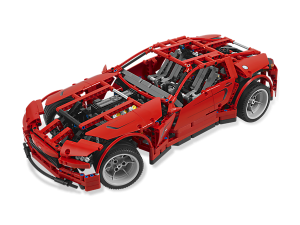 The Supercar by LEGO comes with a plenty of cool functions and features that make it look very realistic. Open up the hood to reveal the realistic V8 engine, try the functional doors and check out the working suspension and steering. LEGO Technic Supercar is a true engineering wonder. For your collection of LEGO Technic construction machinery to be complete, you must have this mini backhoe loader. This bright yellow piece of heavy machinery comes with a functional front bucket and a back hoe at the rear, both operated by sets of complex gears. Playing with LEGO Technic mini backhoe loader is just as entertaining as building it is. Also, you can rebuild it into a telehandler with a raising boom, a tipping shovel and a functional steering. This set can be a great gift for teenage boys. 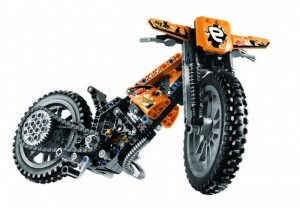 For all the fans of motorcycles, LEGO offers the exceptional Moto Cross Bike. This tough 2-wheeler comes with a plenty of realistic features, such as front and rear suspension, knobby tires, working engine pistons, chain-drive, etc. It is a 2-in-1 model and it can be rebuilt into a Speedway Motorbike.